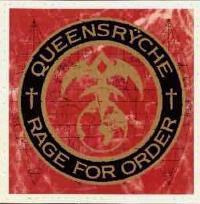 Rage for Order, the album directly preceding Operation: Mindcrime, certainly shows the potential and directions in which Queensryche was ready to move. Although showing elements of other bands and styles, this album is a very unique and innovative work that foreshadows the stylistic directions that the band were getting ready to undertake. This album certainly defined and created a subgenre within the realm of progressive metal and is definitely one of the most influential progressive metal albums.The lineup on the album was Geoff Tate, Chris DeGarmo, Scott Rockenfield, Eddie Jackson and Michael Wilton. A metallic sort of tune with an almost gothic feel at times, this one contains some interestingly processed vocals. Some stellar and soaring vocal work is also present. This is a hauntingly beautiful song with a powerful balladic structure. The emotion here runs deep in the musical performance. Lyrically, this track contains some interesting themes. "As you woke this morning, and opened your eyes, did you notice the tear stains, lining your face were mine." "When we first met I must have seemed a million miles away, It's strange how our lives have touched, but the time is right, I'll tonight, don't look in my eyes, 'cause you've never seen them so black." 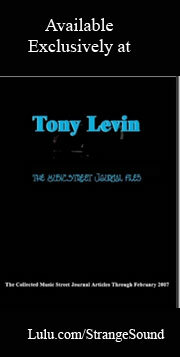 The ending of this track serves as a segue into "The Whisper," with a bell ringer texture. A crunchy and powerfully metallic introduction lead into a more moody texture based song. This is a strong track, but not really a standout. This is certainly a song told from the point of view of a stalker. A fairly slow and metallic song, this one features a strong progressive metal arrangement and some intriguing keyboard textures. "You fumble for your keys, I'm six or seven several steps behind you, I'm so close to you, Are you terrified of me? What do I know about you? You think I'm a fool or maybe some kind of lunatic." A strong and moody balladic sort of piece, "The Killing Words" is packed with emotion. This is a song about the end of a relationship that was satisfying, but unhealthy. "Forget if you can, the way you moved when our hands touched, Your forced me to force you, do you remember the dreams, the nightmares we shared, the poison of love so pure it's deceiving, and deceit is all we have it's got to be over". "Surgical Strike" has a metallic feel, and the majority of the true power, depth and emotion is drawn from vocal excellence. This song is seemingly an updated version of the early '80s Judas Priest sound. A keyboard crescendo serves as a dramatic intro to this piece. The intensity drops directly into a picked guitar section, but then grows and shifts from that point. This entire intro is in a considerably an art-rock type of mode, that is full of twists. Eventually, the track drops into a more stable structure; somewhat alternating between more balladic and metallic moods. Listening to this track, it is very easy to see the roots of the styles that Queensryche employed on the Operation: Mindcrime album. This piece would indeed be at home on that album. This is definitely a track which stands tall above the others on the album. Essentially a heavy metal piece, this number has a creative arrangement. This seems to be a tale of a vampire and his efforts to carry on with the loneliness of lost loves. "You're just a memory now, Like all the ones before, But with your pain I've had to suffer, Your eyes alight with flame, as the picture burns, I heard the screams from long ago, they cry remember blood-red streaks on, velvet throats at night, the streetlights fanned our trail of fame through, London, London". "Oh let me see you standing in the shadows once again, We'll walk the streets like long ago in, London, London". Musically, this one is a spooky metallic ballad that is quite powerful. "Screaming in Digital" is quite a quirky and interesting metal number featuring odd rhythmic structures and unique twists. This is a beautifully powerful song. The lyrics are quite pretty and provocative poetry, and the music certainly does justice to the words. "There's a thought that fills your mind, a vision of a time, when knowledge was confined, And then we wonder how machines, Can steal each other's dreams." This version features some of the classic remix trappings. To me it's okay, but not as good as the original rendition. Now, this live rendition of the earlier song is quite cool. I think this song works really well in this alternate mix. I prefer the original, but this is close. This live take is smoking hot.